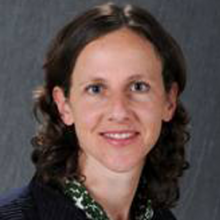 The George Washington University (GW) Cancer Center is pleased to announce that Lorien Abroms, ScD, associate professor of prevention and community health at the Milken Institute School of Public Health at GW, has been named interim associate center director for population sciences and policy at the GW Cancer Center. As interim associate center director for population sciences and policy, Abroms will collaborate with faculty across GW in creating a vision for the public health programs within the GW Cancer Center. She will develop and manage initiatives to foster cancer research collaborations university-wide among population sciences and policy researchers. Her responsibilities also include identifying and nurturing the development of program areas in cancer population sciences and policy, such as tobacco cessation, screening, environmental carcinogens, disparities, cancer epidemiology, HIV, HPV, and other virus-related cancers. Abroms is a behavioral scientist with expertise in applying communication technology to design scalable programs aimed at tobacco cessation. At GW, she is the founding director of the GW mHealth Collaborative, an interdisciplinary group of faculty and students with representation from faculty in clinical medicine, public health, biostatistics, and engineering. She is also the co-director of the D.C. Metro Tobacco Research and Instruction Consortium and the director of the MPH program in Public Health Communication and Marketing at the Milken Institute School of Public Health at GW. Prior to coming to GW, Abroms was an analyst in the Demographic and Behavioral Sciences Branch of the National Institute of Child Health and Human Development and an analyst in the Division of Cancer Control and Prevention at the National Cancer Institute. Abroms received her ScD in health behavior from the Harvard T.H. Chan School of Public Health through a joint Harvard–Dana Farber Cancer Institute Cancer Prevention Fellowship. She received her BSc in psychology and MA in sociology from Brown University.